A reader had commented on a recent Gorjana earring post stating that she had a similar pair of earrings in silver (click HERE for the ones featured below) and was wondering what to wear them with on more casual occasions. 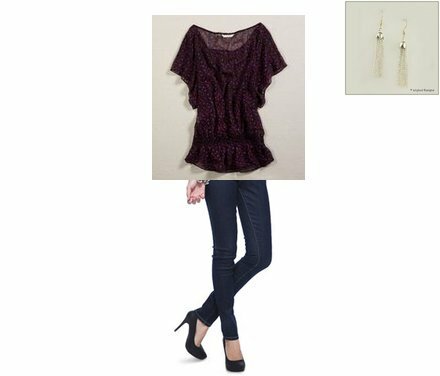 Here are the outfits I came up with - click on any photo (with the exception of the earrings) for more information! As you can see, I think these earrings would go with pretty much anything! Thank you so much! I didn't realize that these earrings were so versatile. Thanks again, you've helped a great deal!